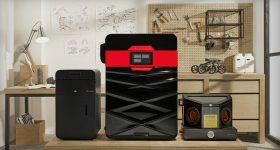 Recently, leading online marketplace Amazon sparked the 3D printing rumor-mill with the launch of its own brand Basics FFF/FDM filament. 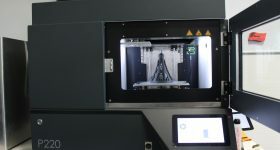 To investigate the new materials range ourselves, 3D Printing Industry ordered two spools of the filament. 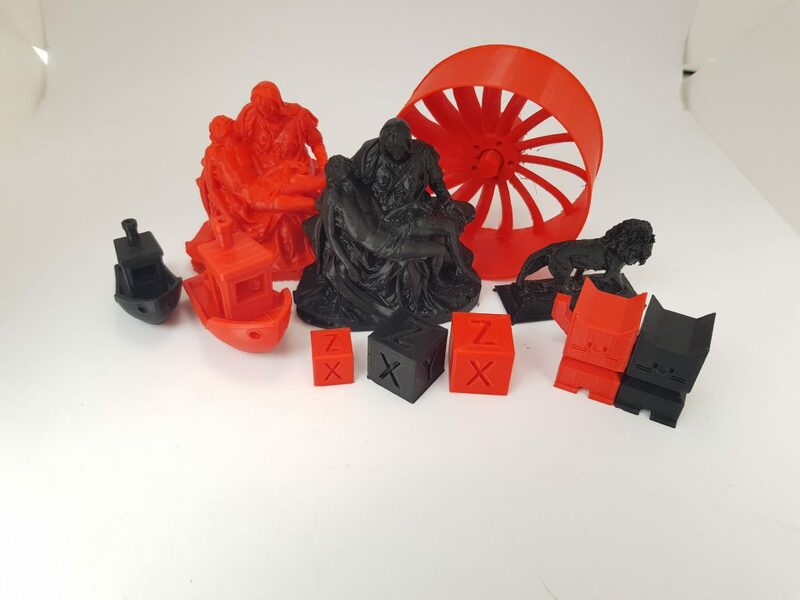 In this review the print quality of Amazon Basics Black PLA and Red PETG are examined using standard parameters set by our 3D Printing Industry engineers. 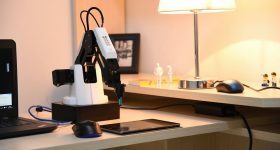 Tests were conducted on two low-cost desktop 3D printers, a Snapmaker 3-in-1 and a Wanhao Duplicator 9. 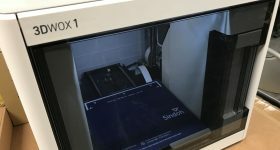 The print profiles for each of these machines are recorded at the end of the article. 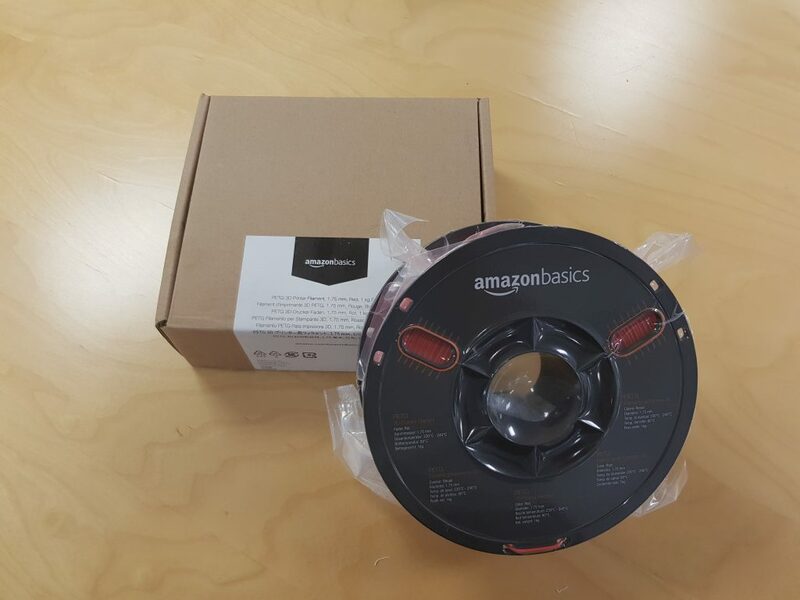 Initially, when ordering Amazon Basics filament the estimated delivery time was given as 1 – 3 months. With the order placed on July 25, the spools arrived on August 14. 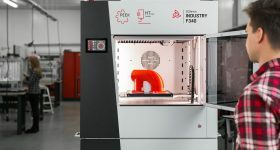 The wait time on the delivery is to be expected, as the order was taken by Amazon.com and the spools were first sent to a company depot in California before shipment to 3D Printing Industry HQ. At present, the filament is still in the early stages of availability, so once demand is assessed Amazon could update the lengthy delivery times. On arrival, both spools were neatly packaged in cardboard boxes and individually sealed, with a sachet of desiccant, in resealable packets to protect from dust/contamination. The windows in the spools are a helpful feature to the design, and details of the materials are given in five different languages (German, French, English, Spanish and Italian) catering to America and Europe. 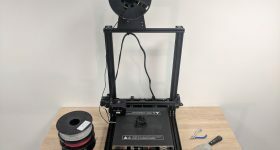 This suggests that Amazon may be planning to make the filament available at a wider range of regional outlets in the future. 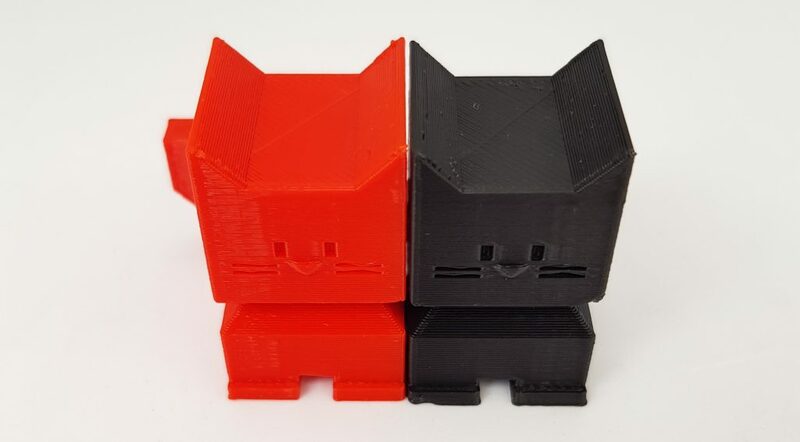 For each filament, the engineering team 3D printed three calibration test models: a 3DBenchy, XYZ cube and a Cali Cat. These models were 3D printed to give the optimal quality of the filament with a layer height of 0.2 mm on both 3D printers, a print speed of 40 mm/s on the Snapmaker and 50 mm/s on the Wanhao Duplicator 9. Models were also 3D printed with 15% infill on the Snapmaker, and the Wanhao Duplicator 9 was set to 10% infill. Neither 3D printer in this test faced extrusion problems when extruding Amazon Basics PETG or PLA. The engineers experienced no stringing, loading and unloading difficulties, or filament breakages when switching out to try each model. As a basic filament, PLA is best suited to prototyping, toys and figurines. With higher rigidity and chemical resistance than ABS, PETG is a polymer for more functional usage. Compared side by side after 3D printing, the quality of the models is consistent. PLA figures have a good quality though, as expected, the finish on PETG models is better. Layer lines in the red 3D printed PETG calibration models are less visible than those of the black PLA. The surface finish of the PETG has a glossy sheen to it. 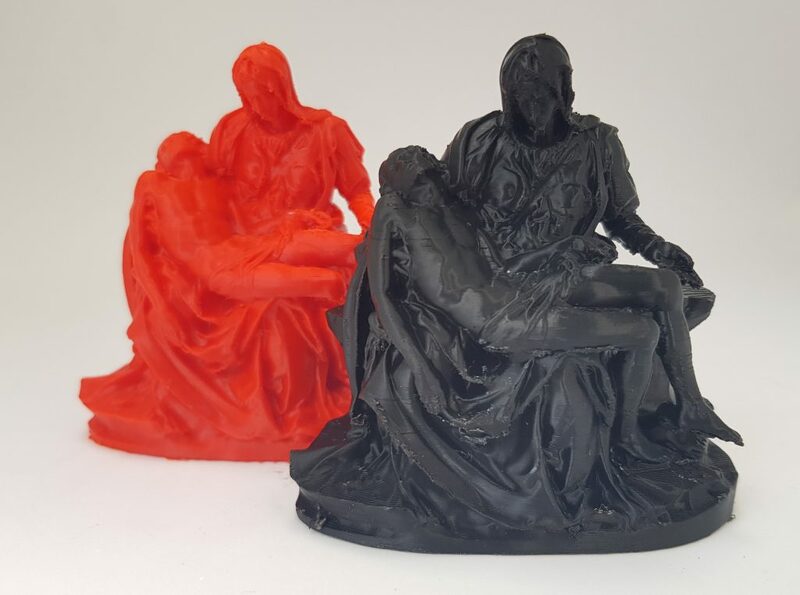 As a further test of the material’s print quality, the engineers 3D printed detailed models of Michelangelo’s Pietà sculpture. 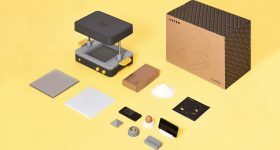 In this experiment only the Snapmaker 3D printer was used. Layer thickness was set to 0.1 mm, with 15% infill and 50 mm/s print speed. Both filaments succeeded in capturing small features, i.e. eyes mouth, hair, fabric folds, of the Pietà model, and have a good glossy surface finish. Support removal on a model with such fine features is always difficult, but a clean finish is achieved at each support area. 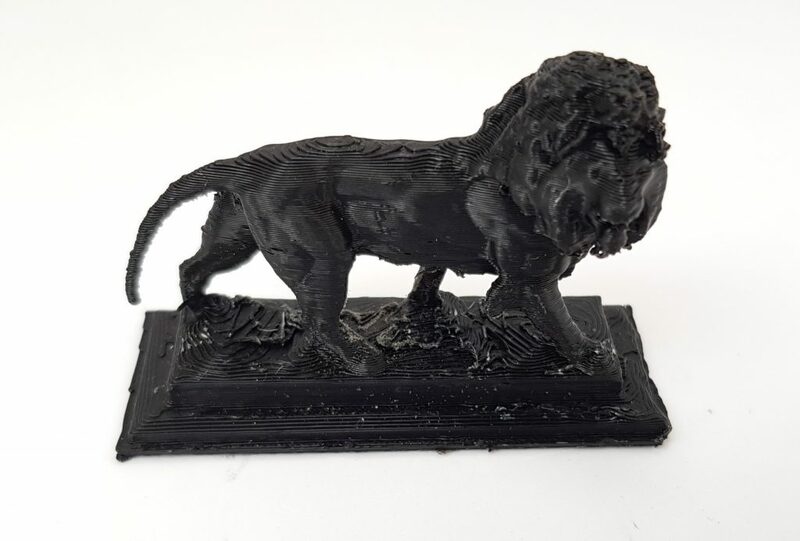 To further validate the quality of the black PLA for making figurines/toys, engineers 3D printed a model of the Maiwand Lion statue found in Forbury Garden, Reading, UK. 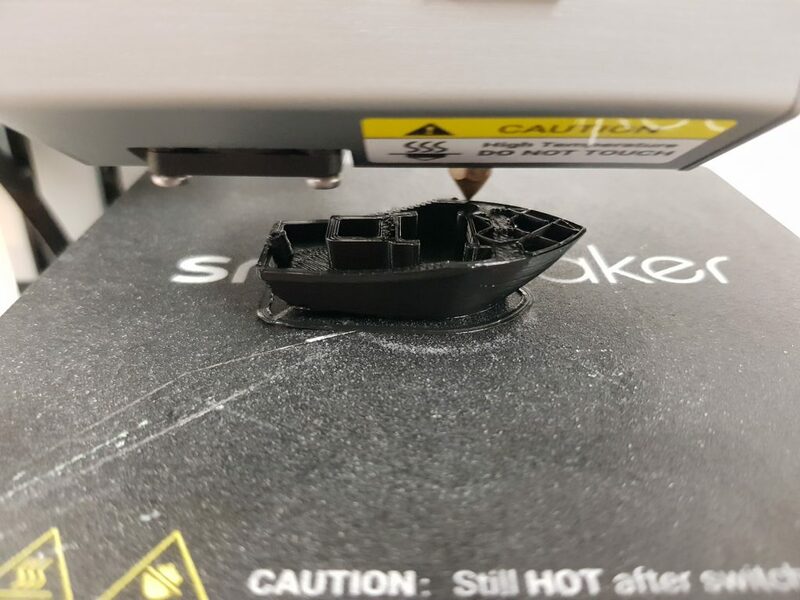 All settings for this print, on the Snapmaker 3D printer, remained the same as the calibration tests, to save time on the print as it was selected as a quick prototype/toy. Due to 0.2 mm layer height and the size of the model approx. 650 mm x 250 mm x 350 mm, there are noticeable ridges in the finished lion. Of course, with more time, the lion could also be 3D printed with a layer height of 0.1 mm to give a smoother finish. Despite the ridges the lion retains a strong shape. 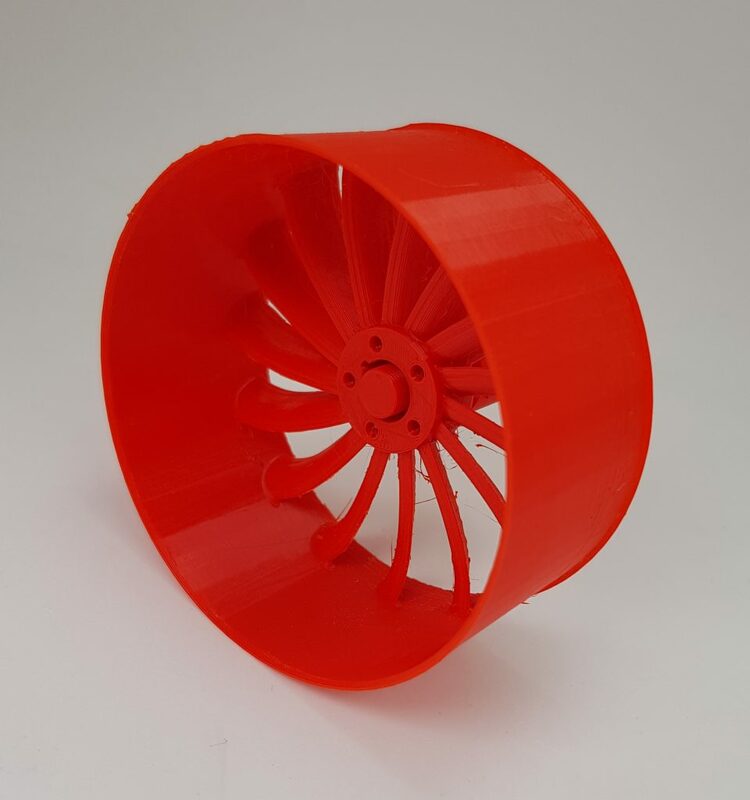 In a second functionality test, a wheel was 3D printed in red PETG (Layer height 0.2 mm). In photos light stringing between the spokes of the wheel is observed, and the rim has a smooth finish suitable for adding a tire. The final verdict from the team is that both Amazon Basics PLA and PETG produce good quality 3D prints, and are easy to work with. Other online reviews had noted inconsistent color with the red filament, but no such defect was noted in this report. 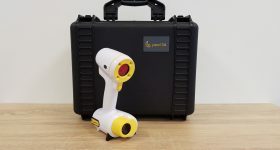 At a single price point of $19 per 1kg spool, engineers also remarked on the material’s value for money, especially considering the superior finish of PETG. 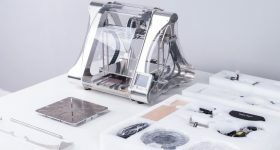 One final seal of approval was that a 3D Printing Industry engineer said he would buy the material for use in his personal work. 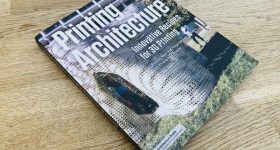 For more exclusive news and reviews subscribe to the 3D Printing Industry newsletter, find us on Facebook and like us on Twitter. Looking for jobs in engineering? Search open opportunities and apply with 3D Printing Jobs. You can also make a profile to advertise your latest vacancies.